Passivate is a process that removes “free iron” contamination left behind on the surface of the stainless steel as a result of machining and fabricating processes. Passivate is a process that removes “free iron” contamination left behind on the surface of the stainless steel as a result of machining and fabricating processes. Stainless steel by its nature is self-passivating. The chromium within the alloy reacts with oxygen in the air to create a thin oxide film around it. This film is chemically inert and self-repairing when scratched. “Free iron” contaminants which are not removed from the part can inhibit the formation of an oxide layer, thus creating a potential corrosion site. If these sites were uncommon on the surface, then the chance for corrosion would be minimal. But, the machining and fabricating processes can not prevent these sites from covering the surface of the part, allowing the part to corrode prematurely. Mechanical removal of the “free iron” is not practical because of part deformation and the sheer complexity of some parts. 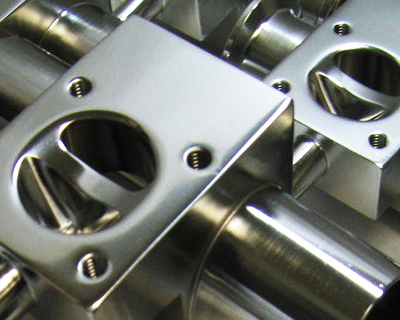 The non-mechanical passivation process is perfect as the final step in creating stainless steel parts that are free from corrosion sites and truly stainless. Our passivate process conforms to the most commonly referenced industry specification Fed. Specs AMS 2700 and ASTM A967. The first step in the passivation process is determining if different alloys are present within the part. This is important because the type of stainless steel being processed determines the method used to passivate the part. Parts of the same alloy are then placed into a clean polypro bracket or large plastic coated basket, then immersed in DuLite #37 heated cleaner bath for 10 to 20 minutes to remove any oil, polishing compounds or other foreign material from the surface of the parts. Parts are then immersed in a descaler to remove heat treat scale and discoloration. The next step is the most critical: selecting the time the parts will be in the chemical bath, determining the appropriate temperature, and getting the right concentration of nitric acid in the bath. A wrong calculation for any of these variables will produce unacceptable results. After the part has been immersed in the correct bath for the appropriate time, the final step is rinsing and drying the part. 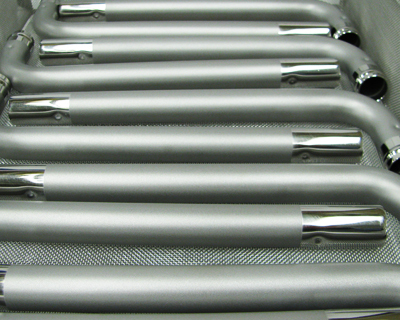 The success of this process is predicated on how well the part was machined and/or heat treated. 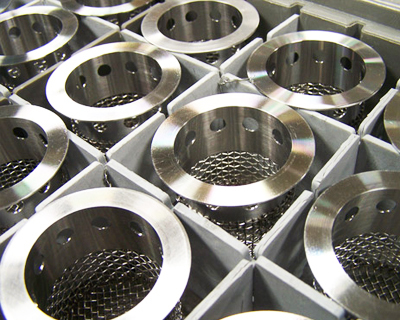 Poor machining will introduce contaminants into the alloy, which effect the calculation of the bath variables and produce poor results from the passivation. Failure to use proper thermal processes on a part can lead to discoloration on the part, which won’t be removed by passivation. 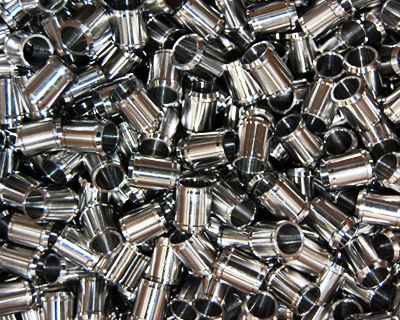 Citric Passivation process is certifiable under AMS 2700 and ASTM A967. It is a less aggressive passivation method that does not have the risk of galvanic reaction. For instance, if you have only a few large parts we can run them individually to prevent any reaction. For orders of larger quantities, we will test 2-3 parts in our Passivation tank to check for reaction. If there is a reaction, we will stop processing and notify you right away! Got A Job For Us? Solid, long-term customer relationships are the backbone of our company. From the moment you contact us to delivery of your finished piece, our focus is on excellent results and diligent customer service.